The President's award for Distinguished Service Abroad was given to Sr Mary Killeen and nine other nominees at a ceremony in Árus an Uachtaráin on 29 November 2018. See a copy of the broadcast, embedded in the right-hand margin of this web-site. 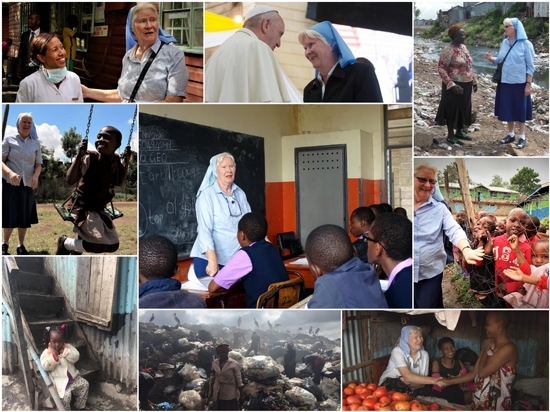 Sr Mary Killeen has been selected as one of the Irish Diaspora to be granted the President's Distinguished Service Award for Irish Abroad in 2018. The Presidential Distinguished Service Award was established as a means to recognise the contribution of members of the Irish diaspora and the first awards were made in 2012. Nominations are made by Irish communities abroad through Ireland’s network of Diplomatic Missions. (iv) have made a sustained and distinguished service to Ireland on a global or international issue of importance. It gives quite a comprehensive account of her life, family, and work. (Use your browser to translate from the German). Historic correction: on their visit to Dublin, Mary brought the TV crew to our parents' grave in Glasnevin Cemetery, just fifty metres from Michael Collins, - and in the middle of the 1916 commemorations. It was natural for the team to look for a connection between our Dad (exactly 19 years old when the War of Independence broke out) and Collins, and, in consequence, inferred a more vigorous role in the rebellion than facts actually warrant. "Your visit gives us courage. By coming here, you shine a light on the challenges. Your meeting with us gives us dignity." 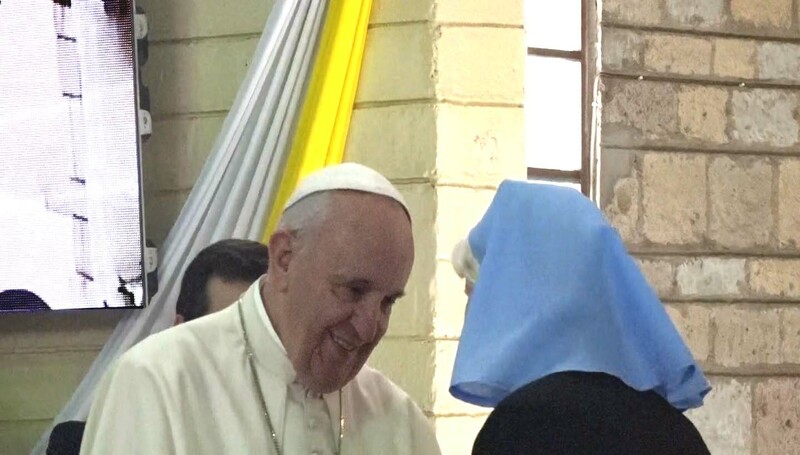 Pope's visit to Kanjemi slum, including Sr. Mary's speech and the Pope's response. In 1985 there were no schools in Mukuru, a slum, or shanty town, of half a million residents, in Nairobi, Kenya. Nothing could be done about the problem, because there were no government funds available. 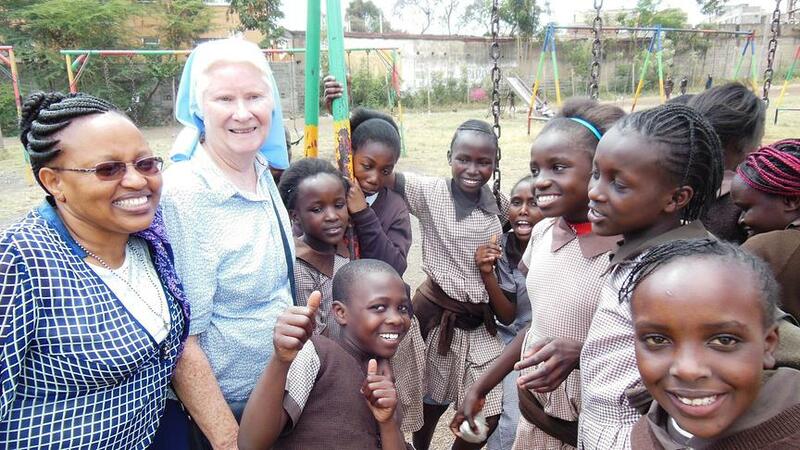 When a deputation from Mukuru met Sr Mary Killeen, she said to them "build me a hut and I will teach your children." She advised them to request that the City Council provide the site, which it did. So they built a corrugated hut and, in it, Sr Mary, with Fr Manuel Gordejuila, offered education to the slum children and the beginnings of community development. The initiative was called Mukuru Promotion Centre and it grew and grew, so that within 10 years over 7,000 children were accommodated in several separate schools, together with multiple other projects, covering health care, skills training and community development. Trnava University, Slovakia, conferred an honoray doctorate on Sr Mary Killeen for her work in Mukuru (1997). Videos on this site show the wonderful progress that has been achieved since Sr Mary started this work in 1985. Much remains to be done. Irish Times "Irish nun addresses Pope Francis"